Throwing a Halloween Party in Your Apartment? Follow These Tips! Halloween: this holiday is not just for the trick-or-treaters traipsing around your luxury apartment community! Throwing a Halloween party is a great way to gather up your friends and neighbors, put on that perfect costume, and celebrate! 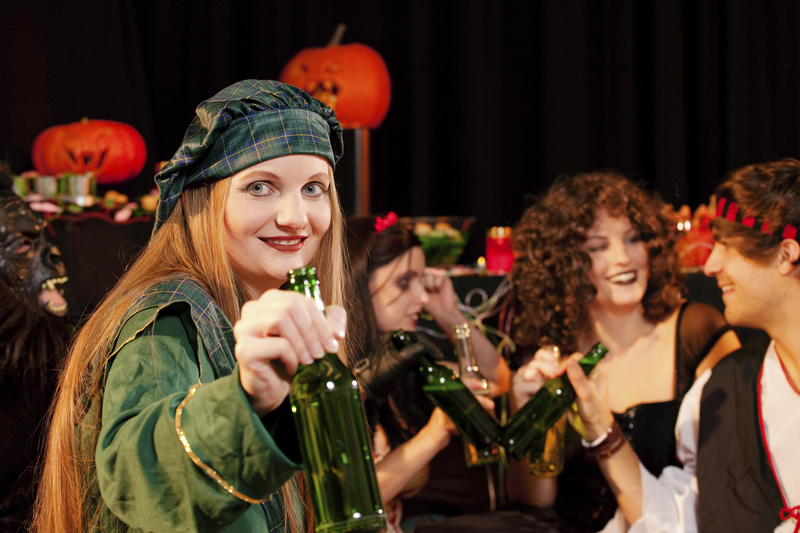 As with any party that you host in your apartment, there are some general rules that you should keep in mind throughout, but Halloween carries with it its own set of musts as well! Read on to find out how to throw the best Halloween party in your apartment this year. That is to say, prepare for trick-or-treaters! Even if you are throwing a private party, you can expect that at least some children in your luxury apartment community will come knocking for candy. Make sure that you have a bowl of candy (prepackaged is best, as parents will consider it safer), and someone who is designated to answer the door. However, even if your party is going to go late into the night, you should set a “cut off” time for trick-or-treaters. After about 9 at night, the young children who make up the primary pack of trick-or-treaters tend to head to bed, and those who come knocking much later than that could potentially be around for tricks, not treats. So to be safe, set a curfew, and only open the door for guests you know. You may have a great relationship with your neighbors, so much so that many of them are probably invited to your party! Nevertheless, for everyone else who lives in your luxury apartment community, keep noise levels low and make sure non-resident guests are not disruptive and that they do not take up resident-only parking spaces. Your party can be a fun and entertaining one without waking up the whole building! From Harborside Village, have a happy and safe Halloween this year! Check back with our blog for more tips on holiday parties later in the season. This entry was posted on Friday, October 31st, 2014	at 3:47 pm	. Both comments and pings are currently closed.